CMA Awards nominees Kelsea Ballerini, Luke Bryan, Kenny Chesney, Dan + Shay, Old Dominion, Carrie Underwood, and Keith Urban have been announced as the first group of performers for The 52nd Annual CMA Awards, hosted for the 11th consecutive year by Brad Paisley and Carrie Underwood. Country Music’s Biggest Night will air live from Bridgestone Arena in Nashville, Wednesday, November 14th from 8-11 pm ET/PT on the ABC Television Network. Ballerini is a six-time career CMA Awards nominee, returning this year with her fourth consecutive Female Vocalist of the Year nomination. Bryan is a two-time Entertainer of the Year winner (2014, 2015) and 16-time CMA Awards nominee. He will return this year to vie for his third win in the category. With two nominations this year, Chesney is an eight-time CMA Awards winner including four trophies for Entertainer of the Year. In 2016 he was honored with the Pinnacle Award, which recognizes an artist who has achieved both national and international prominence. With 46 total career nominations, he returns with his 11th Entertainer of the Year and 12th Musical Event of the Year nomination. Five-time CMA Awards nominees, Old Dominion, return this year with their third consecutive Vocal Group of the Year nomination. Underwood, a four-time CMA Awards Female Vocalist of the Year winner, receives her 13th nomination in the category this year. She has garnered 30 CMA Awards nominations since 2006. This year marks Urban’s 14th nomination for Male Vocalist of the Year, 11th nomination in the Entertainer of the Year category, and his sixth nomination in the Album of the Year category, bringing his career nominations to 45 with 11 total wins. Winners of The 52nd Annual CMA Awards will be determined in a final round of voting by eligible CMA members. Voting for the CMA Awards final ballot ends Tuesday, October 23rd at 7 pm ET. All balloting is tabulated by the professional services firm Deloitte. 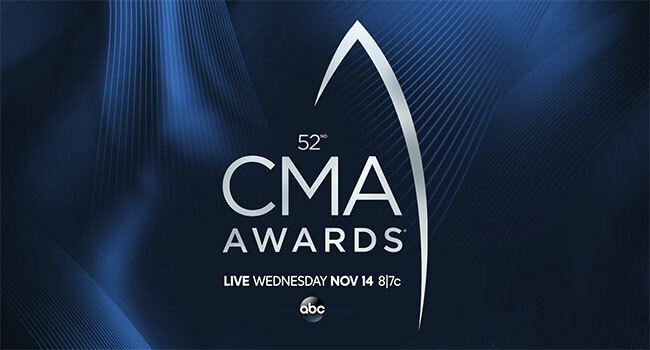 The 52nd Annual CMA Awards is a production of the Country Music Association. Robert Deaton is the Executive Producer, Gary Halvorson is the Director, and David Wild is the Head Writer.